Hey all, it's been a long time since I've posted here, been a while since I've gotten to ride as well... long story short some things happened (wife, kids, etc.) and I'm giving up the motorbike. I have for sale a set of the OEM Kawasaki hard cases and mounting rack, they are very clean, never been down and have keys for both. I'll be selling the whole bike but figured someone might be interested in this luggage, asking $600 + shipping from the Portland, Oregon USA area. This communication may be unlawfully collected and stored by the National Security Agency (NSA) in secret. The parties to this email/message/posting do not consent to the retrieving or storing of this communication and any related metadata, as well as printing, copying, re-transmitting, disseminating, or otherwise using it. If you believe you have received this communication in error, please delete it immediately. Are they still available ? I would be interested in just the mounts as I already have the cases. Are you willing to sell just the mounts? @lpscruggs I tried sending you a DM but didn't hear back, are you still interested? I purchased the racks from cocothemonkee but not the cases. I was able to get new Givi cases. They look great and fit perfect! Maybe.... I checked and they will fit either way. But I really like the way that they flow with the angle of the bike. I feel that at higher speeds the angle of the side cases and top case function like a spoiler on a car. The back end feels more stable and smooth. Last edited by Obo; 04-01-19 at 08:01 AM. 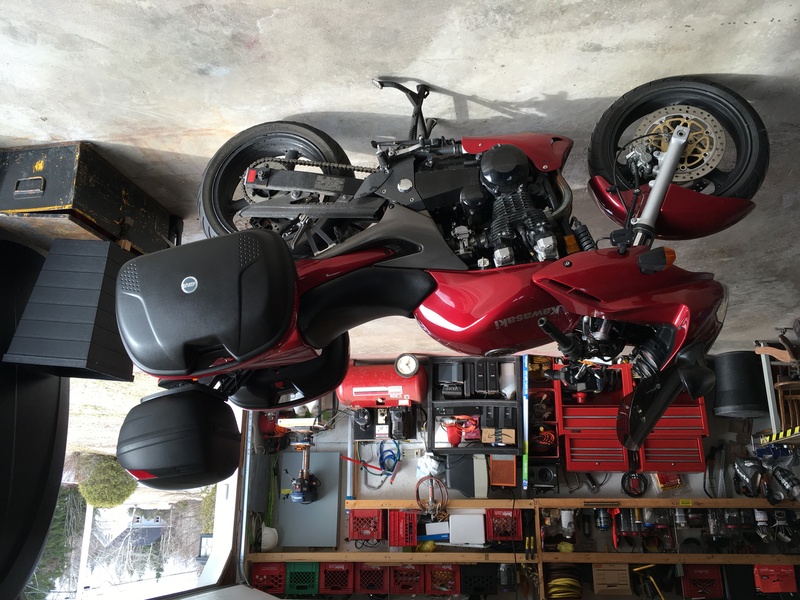 Oem luggage rack - what side cases? I melted a hole in my hard side cases last week.